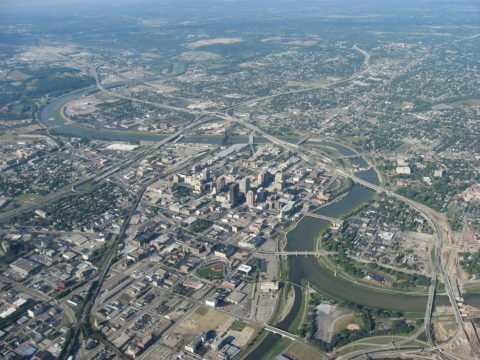 I recently spent a few days in Dayton — a vibrant city of about 140,000 people in southwestern Ohio. I was visiting family, and I had a blast getting to know the ins and outs of this former manufacturing metro. It’s a place boasting several awesome museums, parks, neighborhoods, and hangouts. It’s the kind of city that has plenty to offer and should be high on your list if you’re looking for a unique, uncrowded destination in the Midwest. I didn’t realize how big this museum is until after stepping inside and becoming engrossed with every exhibit and display I encountered. What I had originally thought would be a 2- or 3-hour visit joyfully turned into an entire afternoon! And I’m not even connected with the military in any way. I just found the aircraft amazing to view, the displays highly informational, and the presentation relatable even to those such as myself — a person who has a passing interest in (but deep respect for) military aircraft and the people who design and fly them. The aircraft on display in the museum is generally categorized by the conflict during which each model was unveiled. Not surprisingly, the World War II gallery is one of the most colorful sections of the museum — in terms of the number of aircraft on display and the various types of vehicles flown. The museum pays homage to all eras of military aircraft, with plenty of early models on display. These include several Wright Brothers pieces, including a replica of a 1909 Wright Military Flyer. Another interesting piece is the only surviving XB-70 Valkyrie strategic bomber — a relic from the Cold War era, when nuclear threats sparked the creation of innovative, space-age planes that could respond to serious national threats in moments. The Air Force Museum in Dayton, Ohio has much more than “just” aircraft on display. Look for period Air Force uniforms, military literature and ephemera, an array of historic and rare novelty items, and much more. 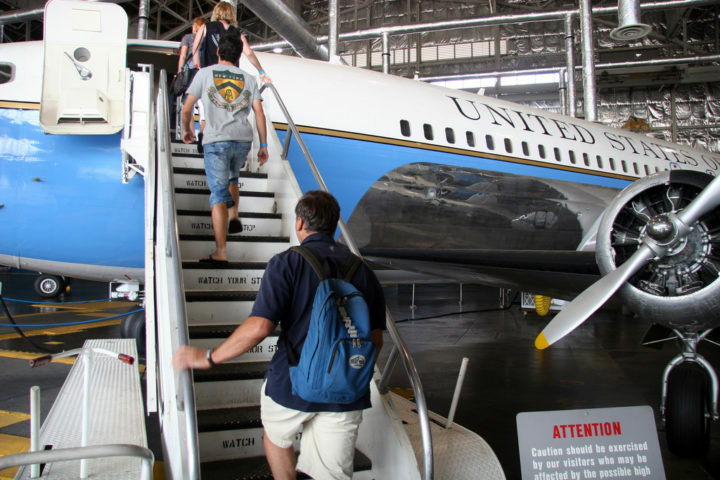 I hear that, since my visit in May 2016, officials at the Air Force Museum opened a new wing with 4 galleries and 70 aircraft — including space flight vehicles and Presidential aircraft, such as the famous Air Force One. Plan on spending at least an afternoon at the Air Force Museum. When I go back, I’ll figure on dedicating an entire day there. 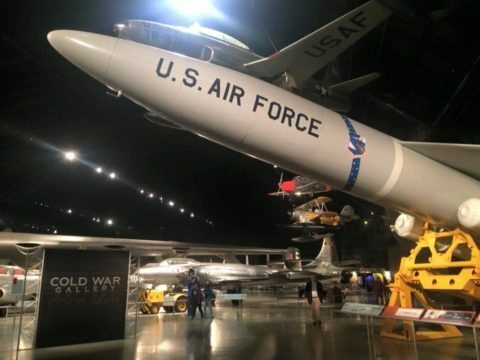 Admission and parking to the Air Force Museum are free. Be sure to check the museum’s website for hours and more information. The Dayton Art Institute is located in historic downtown Dayton and houses an expansive collection of more than 25,000 pieces spanning some 5,000 years. The museum has 3 main exhibit wings — including the Berry Wing of European Art, the Patterson/Kettering Wing of Asian Art, and the Dicke Wing of American Art. Among these are galleries encompassing a diverse collection of works from Europe, Africa, South and Central America, the Pacific nations, and the United States of America. Another gallery is dedicated to glass works. The Dayton Art Institute also hosts various traveling exhibits and collections, and for these I recommend you check the museum’s website or call the facility for more information on what there is to see and do when you plan your visit. The suggested admission fee to enter the museum is $8 for adults, though the museum allows those who can’t afford the $8 admission to enjoy the works in the permanent collection free of charge. Just outside of Dayton is a hip enclave known as Yellow Springs. The village of about 4,000 residents was founded in the 1820s and has since become an eclectic community consisting of artists, authors, and poets, among others. Yellow Spring is perhaps most well known for Antioch College and Antioch University Midwest, which operates its campuses there. 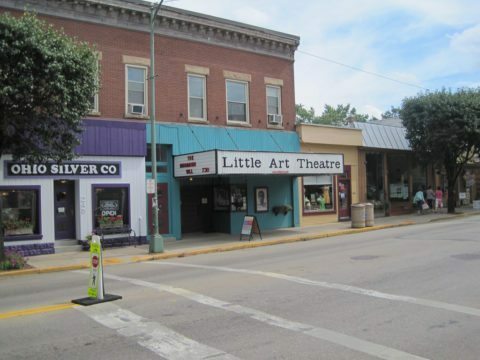 For its size, the community has a pretty robust cultural atmosphere and is home to the Yellow Springs Art Council, Chamber Music Yellow Springs, Yellow Springs Kids Playhouse, and Yellow Springs Aikido. Yellow Springs is also the home of WYSO, a National Public Radio station. I enjoyed touring the main thoroughfare of Xenia Avenue — where you’ll find friendly bistros and coffee shops, a collection of boutiques, and an array of shops catering to avid readers, enthusiastic art lovers, and doting pet parents. I recommend going on a weekend when the shops are buzzing and events are going on — though weekday mornings are great if you want plenty of convenient parking and fewer crowds. The Oregon District in downtown Dayton Ohio has a multitude of attractions — both large and small — for locals and tourists alike. Urban Krag Climbing Center — I’ve seen more than a few rock climbing places in my time, but none like Urban Krag Climbing Center. Built inside an abandoned church, Urban Krag is literally the place to go for climbing enthusiasts who feel they have a “higher calling.” Climbing walls range from 28 feet high to 56 feet high, there’s an inclined bouldering wall, and there are yoga and hoop classes, camps, and much more to enjoy at this unique rock climbing place in Dayton. The Neon — This 2-screen movie theater in Dayton opened in 1986 and plays an array of independent and mainstream films. I saw “A Hologram for the King” at The Neon, which is a major motion picture starring Tom Hanks. However, the theater’s main marquee reads more like a list of niche movies at a cool film festival. The popcorn is tasty, concessions are inexpensive, the bathrooms are clean and the seats are comfortable — though I understand the movie house is converting over to rockers, so it should be an even comfier place to see a film these days! 5th Street Corridor — Coffee shops, bistros, taverns, and old homes line 5th Street in the Oregon District of downtown Dayton. Take a walk along the avenue on a weekend morning or afternoon to enjoy some of Dayton’s fun, eclectic side. One of my favorite places to visit while I was in Dayton Ohio was Englewood MetroPark — just minutes north of Dayton along Interstate-70. This 1,900-acre public park features natural floodplain wetlands, meadows, and forests and is a feast for the eyes, nose, and soul during the winter, spring, summer, and fall. The park serves as a nature conservancy for the Stillwater State Scenic River — which streams into the Great Miami River and serves as a tributary to the Ohio River. I enjoyed hiking and nature watching at Englewood Park. It’s a great place to picnic, kayak, and canoe, too. Englewood is one of several parks in the Five Rivers MetroParks system — which includes more than two dozen parks, conservation areas, and other landmarks in the Greater Dayton area.